I recommend spending at least 30 minutes, every other night, starting as soon as you submit your application. Then 4 weeks before you test, 1 hour every other night, and finally the last two weeks before your test, 2 hours every other night. Also, 1 week before the test set aside a 5 hour session to take a 100 question practice test, uninterrupted without breaks. . 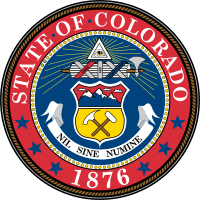 Currently, the State of Colorado uses Pearson Professional Testing Centers to administer their tests. You will not be able to take any materials into the testing center. An NEC 2017 will be provided to you and you will use an on-screen calculator. 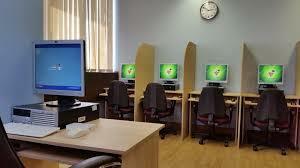 The picture below is a typical Pearson Testing Center. Your test will be taken using a computer in a cubicle like the ones in the picture. You will also be given a dry erase board that does not erase for scratch paper. If you fill your board, simply raise your hand and they will bring you another one. 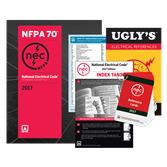 Because the test is primarily designed to test your skills in finding information in the NEC and then understanding the information you find, the most important thing you can do to prepare for the test is practice your code lookup skills. Be sure to use the Targeting Method when looking up information in the NEC. Please read the Targeting Method module if you are not familiar with this method. The test you are preparing for is a difficult test and it is physically and mentally draining. You have to prepare yourself for this. A boxer trains for a long time before a boxing match so that his body is prepared to take the physical punishment and also have the endurance to go the duration. You need to do the same thing as you get ready for your test. You need to decide that you want to do this, and then talk to your friends and family and let them know that this is important and that you will need to devote time to preparing and ask them for their support. I recommend spending at least 30 minutes, every other night, starting as soon as you submit your application. Then 4 weeks before you test 1 hour every other night, and finally the last two weeks before your test, 2 hours every other night. Also, 1 week before the test, set aside a 5 hour session to take a 100 question practice test, uninterrupted without breaks. This may seem like a strong commitment but also keep in mind that unless you are going to try and obtain licensing in multiple states, you only have to do this once for your journeyman's license and then once for your Master license. That really isn't too bad, You want to pass it the first time and this will help you do that. For those of you that are still in apprentice education, start your practice now. Select a two-minute drill or a practice exam and do one of them each month and make that a habit. That will keep your code look skills finely tuned and it will also increase your retention of calculation processes and your speed in doing them.